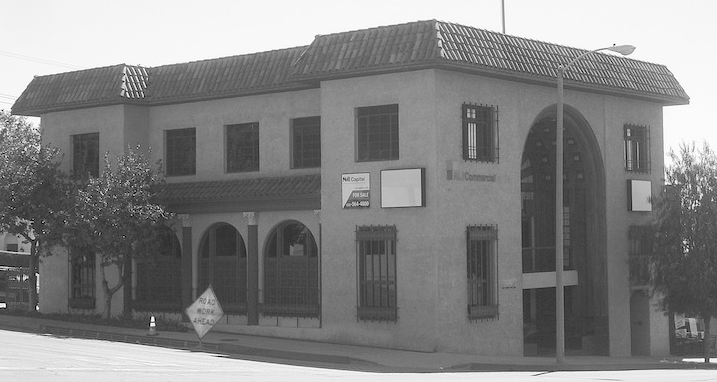 The building standing at the southeast corner of Lake and Mariposa has a story to tell about finance in Altadena. Home to two banks and an internationally-known engineering firm, the building was constructed in 1926 for Pacific Southwest Trust and Savings Bank. The bank manager was local businessman, architect and Chamber of Commerce president R. M. Thurin. 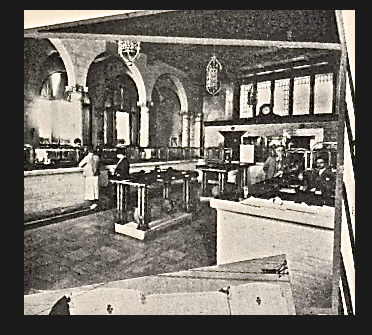 In 1929 the bank changed hands to become Security First National of Los Angeles. 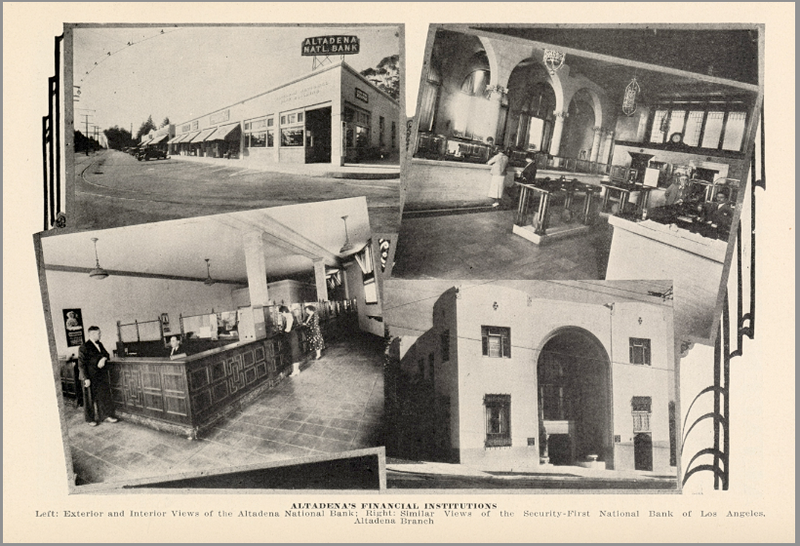 Above: Photos on right show interior of bank in the Pankow building, about 1928. Photos on left show another banking institution, Altadena National Bank, located on northwest corner of Lake and Mariposa. In 1967, the old bank building was acquired by Charles Pankow Company, serving as the architecture and engineering firm's corporate headquarters. Mr. Pankow died in 2004 at the age of 83. Since then the building has changed hands and today serves as office space. The 1970s' remodel hides the building's original Mediterranean details. Read about the bank building's public drinking fountain here.